What’s sad, pathetic really, is that the minute so many of the liberal Jews, including many members of the government, go back to the routine of their daily lives, they forgot. They completely forget and enable the harming of Jews “again” everyday. Last year on Yom Hashoah, Netanyahu made a moving speech in which he said, "Has the world learned the lesson of all this? I doubt it. Have we learned it? I believe so. May the whole world know that when Israel and the Israel Defense Forces say 'Never again,' we mean every word.” Blah, blah, blah. I’m sure his speech this year will be just as moving. And just as empty when measured against the Israeli government’s actions. Dayenu. It would have been enough if only the Israeli government kicked Jews out of their homes and destroyed Jewish homes to appease the enemies of Israel, but learned a lesson. Dayenu, it would have been enough if only the Israeli Supreme Court bent over backwards to give away Jewish land, but learned a lesson. Dayenu, it would have been enough if only the Israeli government “negotiated” (i.e. sold their soul to the devil) year after year with terrorists hell bent on Israel’s destruction, but learned a lesson. Dayenu, it would have been enough if only Israel apologized for defending herself against the flotilla terrorists, but learned a lesson. Dayenu, it would have been enough if only Israel showed restraint while over 12,500 missiles were launched at its citizens, but learned a lesson. Dayenu, it would have been enough if only the Israeli government released hundreds of murderers from prison, but learned a lesson. 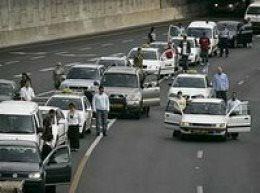 Dayenu, it would have been enough if only the Israeli government shut down viable, terrorists-stopping road blocks to appease a U.S. government that has no idea how to fight terrorism, but learned a lesson. But alas, as we approach another holiday, that one would hope would shake the liberal Jews and Israeli government out of their stupor and remind them of how NOT to let their enemies destroy them, they instead choose to remain in their appeasement stupor and continue to aid and abet the enemies of Israel. Again. 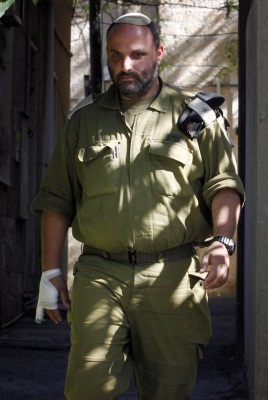 Bravo to Lt. Col. Eisner who recognizes that Israel is at war. A war that has many fronts and participants, but who all share the same common goal; to destroy Israel. It’s safe to assume that Eisner recently celebrate Purim. It’s also safe to assume that deep inside his soul, he realized on Purim that the holiday had a bit more meaning to it than eating hamentashen and cheering Mordechai and booing Haman. He must have realized, as do so many other Jewish patriots, that the holy, righteous way to live, everyday, not just incrementally on holidays, is to fight and defend Jewish lives and fight and defend the land of Israel. It’s pathetic enough that the world cries, “Foul!” when an Israeli soldier actually takes a defensive action against an enemy of the state as Eisner did. But it is sickening when the leaders in the Israeli government join in with the world and point fingers at a soldier, who surprise, surprise, actually acted like a first-class soldier instead of a first-class wuss. So if you happen to hear or read any of Netanyahu’s Yom HaShoah speech this year, just remember he is the same person who publically said this about one of his own people who embodies and actually lives out the words, “Never again!” About Eisner, he said, “This kind of behavior is not typical of the IDF's soldiers and commanders, and has no place in the IDF and the state of Israel." What a shame that defending the Jewish people and its land, according to the Prime Minister of Israel, has no place in Israel. May the holy, righteous branch of David soon rise up in our day, who will not only defend the honor of Hashem, but will defend the Jewish people and the land of Israel.